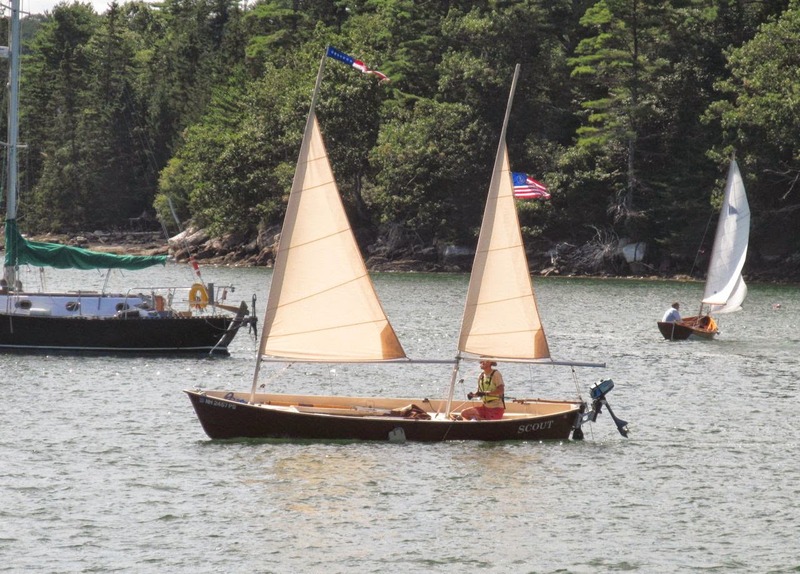 Goat Island Skiff Amateur Style and the Sea Pearl 21 Too: Quick Fair is amazing! HOLY BALLS it's been a long time since my last update. Work has been eating me alive, folks, eating me alive. I'm actually home now for more than one day, so I can update this blog, and work on the boat, but in the reverse order because the boat comes first. Several weeks ago I ordered some Quick Fair from the fine folks at Duckworks. This stuff is A-M-A-Z-I-N-G. It's well worth the money. It mixes easily, quickly, with little fuss. It applies itself with astonishing ease, especially using a plastic spreader. It dries quickly. It sands easily. I made several corrections over time as I got used to the stuff and ended up with a chine that is-- wait for it-- very fair. It filled in the little weave bumps left over from the fiberglass tape, it nestled into the ridge between the tape and the hull that hadn't been filled with epoxy, it filled in some holes, and it faired out the gap between the hull and the stem-dowel-thingie. I am in love with Quick Fair. To boot, it even looks like chocolate pudding, except if you ate it, you would die. The smell tips you off to this. It smells, bad. I used my respirator. I also bought a little digital scale for twenty bucks at the local pharmacy. It's a "The Biggest Loser" scale, named after the TV show, I believe, I wouldn't know because I've never seen it in my life, but the box talked about it. This made mixing the Quick Fair in the appropriate manner mucho-easier, because frankly, there's no way to tell how much you have. It doesn't pour into a graduated cylinder or anything like that. I am also using this little scale with my epoxy, and it cuts down on waste. Another "should've thought of this a while ago..." moment. And bingo! Quick Fair to the rescue! Here's a progression of working around the stem. Slop it on, spread it out, sand it, touch up, presto! For all your fairing needs, Quick Fair is the way to go. I watched this video for some very good tips. Yep, great stuff. I use it all over my boats.It is forgiving enough that you can actually measure it visually on a piece of wood, 2 dollups of one, 1 dollup of the other! I didn't know about the Quickfair at all.